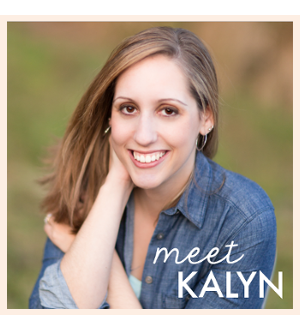 I’m Kalyn—an avid reader, personal development nerd, and recovering perfectionist—who runs this corner of the web. My mission here (and in life!) is to help fellow perfectionists simplify their lives so they can prioritize what really matters to them over the pressure to do it all. Think you might be one of us? You're overcommitted, but have a hard time saying no. You hide behind the “perfect image” because you are afraid of what people will find behind it. You're overwhelmed with everything you have to do in life, because your perfectionistic tendencies demand all or nothing. You feel like you're just going through the motions instead of LIVING life. In other words, you're so mentally and physically maxed out, that there's very little leftover for yourself, or for the people that are most important to you. My friend, you are home. I know what it's like to be a perfectionist drowning in a sea of overwhelm. Like you, I wake up with BIG dreams and goals, but self-sabotage the moment my feet touch the floor. It doesn't matter how much I achieve, I never quite feel good enough, look pretty enough, or accomplish enough to satisfy my insanely high expectations (which are only amplified by my battle against depression). If I could make every aspect of my life simpler and more efficient, I could stop worrying about all the things and just do the most important things. If I had better routines, habits, and systems in place, I could rely on a solid foundation to overcome the overwhelm. If I could let my best be enough, I wouldn't set unrealistic expectations for myself, then feel like a complete failure when I didn't meet them. Which is what KalynBrooke.com is all about. 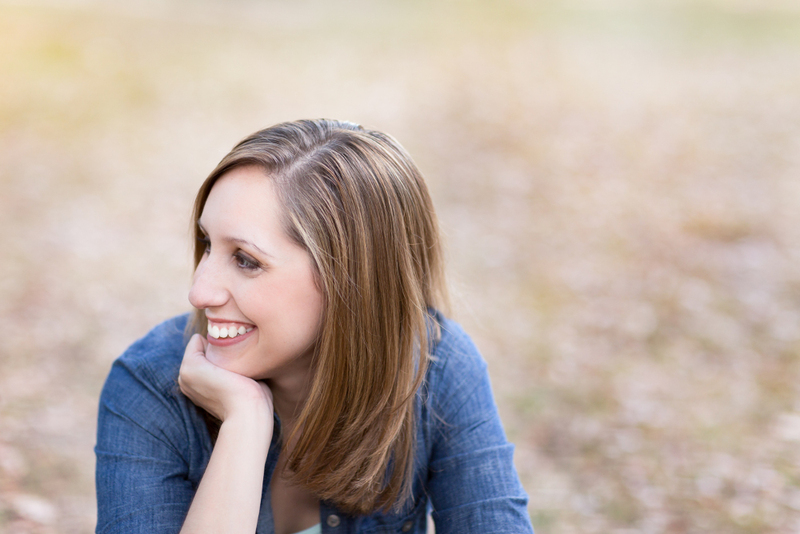 Here, you'll learn small, but impactful ways to make every day both manageable and meaningful. This isn't your typical personal growth website where we discuss how to ditch the perfectionism mindset (although we cover some of that too!). Instead, I write about how to navigate real life in an extremely practical way. HOME SOLUTIONS — I'm a big believer in modern homemaking and share all my secrets to help you clean easier, meal plan without the stress, and create functional organizational systems, so everything runs as smoothly as possible without your perfectionistic tendencies getting in the way. SMART MONEY — Being in charge of your money means you have the freedom to live guilt-free (and splurge on yourself!). I'll show you how to save more, spend intentionally, and create a better system to track everything, all without losing your focus, or your sanity. EVERYDAY FOOD — You'll find dozens of easy recipes (using normal everyday ingredients!) inside my Recipe Box. Meal time has never been more simple or delicious! Especially if you use my Recipe Binder to manage it all. PLANNING & PRODUCTIVITY — If you struggle to get it all done and never have time to pursue the things you love, my productivity strategies provide that feeling of accomplishment at the end of the day, with margin to spare. Yes, really! LIFE & STYLE — Whether it's traveling, reading, or simply doing what makes you happy, this section rounds out the rest of your life and reminds you to not only leave room for fun, but also to treat yourself right. My goal is never to add more to your plate. Instead, I'll help you manage everything you HAVE to do so you have energy for the things you WANT to do. I believe you're here to do great things and don't need obstacles (especially perfectionism) getting in the way of your dreams. I’m a full-time blogger who recently sold my 1,700 square foot home in exchange for living in an RV year-round. 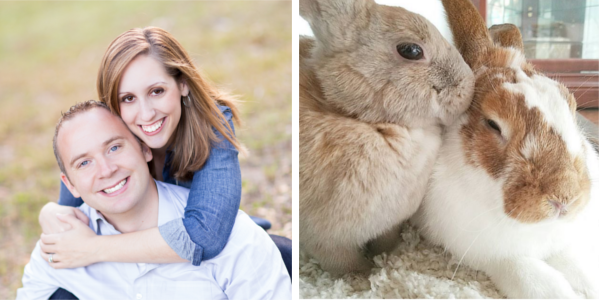 I also share life with three of my favorites — my husband, Joseph, and two terribly destructive, but charmingly adorable bunnies named Cody and Cinder. You think I’m joking, but I’m pretty sure I’m on my 4th iPhone charger right now! I’m also quite the introvert, so blogging behind a computer screen is my version of the perfect job. If you're new to this site, this page will give you a virtual tour so you can navigate your way around. You can also find the most recent blog posts I've written HERE. It doesn’t matter whether you’re shopping, organizing, meal planning, or decorating your home, you'll find plenty of practical ideas that you can totally relate to as a perfectionist! I send out a personal letter every Saturday morning packed with life lessons and action-oriented advice to help you create an intentional life in the days ahead. Many readers say this newsletter is the highlight of their inbox! LIKE the KB Facebook page for extra resources to help you simplify and organize everyday life, live intentionally, and make more time for the things you love. FOLLOW on Pinterest for cute ideas that are just as functional as they are pretty. I also share a lot of yummy and simple recipes! FOLLOW on Twitter to introduce yourself, send me a quick message, or pop in for a quick 140-character update. FOLLOW on Instagram for a behind-the-scenes look at what I'm up to. I share books I'm reading, bullet journal pages, a strong dose of encouragement, and occasionally an adorable bunny….or two! Or, if you’d rather contact me directly, you can send an email to [email protected]. My inbox is always open and I’d love to hear from you!